Scotsman Amor announced his retirement from the sport in January last year, but the 41-year-old is set to make a sensational return. Amor, who opted to quit as a result of an injury to his right shoulder following a crash during practice for the Isle of Man TT at Quarterbridge in 2011, is a former winner at the North West 200 and Ulster GP, where he triumphed in the Supersport class in 2010. He also has five rostrum finishes to his credit at the TT, including a runner-up result in the opening Supersport race in 2011. 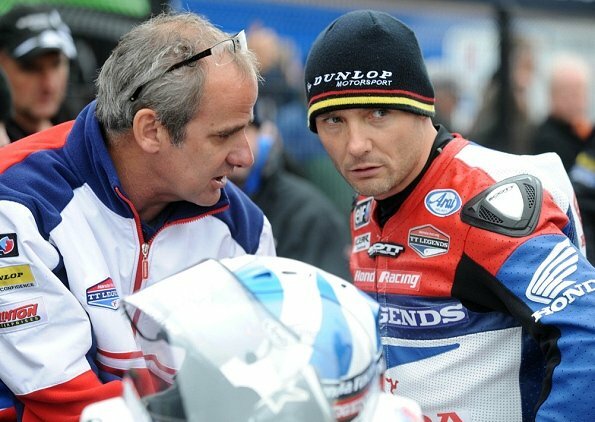 In his final season prior to calling time on his career, Amor was part of the Honda TT Legends team with Mountain superstar John McGuinness. UGP chief Johnston said that Amor had actually planned to take part in this year’s event, but has now shelved his plans until 2014. “He had been planning to be at Dundrod this year but it it’s now on hold until next year,” said Johnston. The official launch of the Metzeler Ulster Grand Prix took place in Belfast on Wednesday, when Aussie Cameron Donald’s return on the Wilson Craig Honda machines was confirmed. Donald joins exciting prospect Dean Harrison, Lincolnshire’s Gary Johnson, Michael Dunlop on the Honda TT Legends Fireblade and Milwaukee Yamaha’s William Dunlop and Conor Cummins in a quality line-up. Bike Week 2013 will run between August 12-17.
and the Metzeler Ulster Grand Prix on Saturday, August 17.